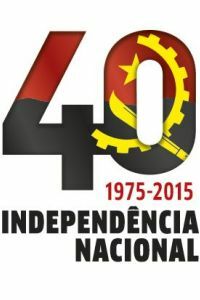 On this 40th anniversary, it is inspiring to observe and reflect on Angola’s transformation since independence, culturally, economically and mental. However there is still a long way to change perceptions and actions in terms of social equality and human rights management, specially regarding the recent episodes with national activists. In a democracy we are free to demonstrate – with good sense – our opinions, desires and beliefs. On the other hand, it is important to understand and acknowledge all the perspectives involved, which includes transparency and a better communication management from the authorities responsible, in order to allow us, as a nation to be able to sustain a fair and impartial opinion. E d u c a t i o n .
As also Angolan citizen, I will do my best to give it back, day-by-day, in small but significant didactic actions, transmitted by giving the example, providing explanations, helping others not only monetarily but also intellectually and creating opportunities and tools for the ones that for some reason couldn’t access them.